Hosting dialogues and adventures for expansion of the mind. Set on a station platform, this project space has a twenty year art history and holds a sentiment of surprise, challenging both the artist and the audience. Founded by artist Ema Mano Epps. With an audience of all ages and all artistic skills on the doorstep, public dialogue is part of the DNA of the space. Here, ideas are put to the test, developed and allowed to take their own course, with direct input from the public. A hub for creative expression, education, growth and exchange. 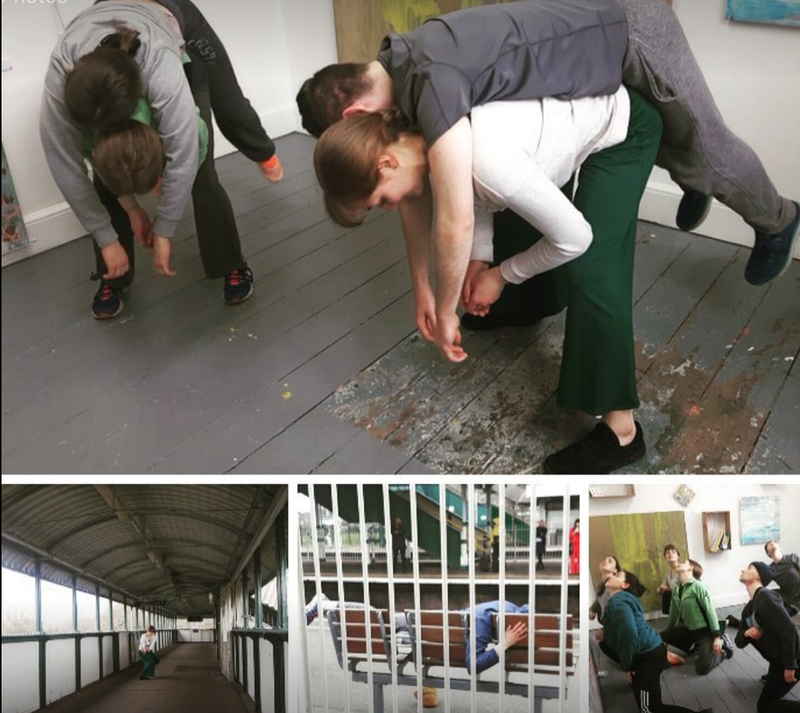 Meet artists working with dance, painting, sound, sculpture, mixed media, film or performance. Opportunities for mentorship, residency, workshops and shows. In an age where we have lost touch with ourselves, the old ladies waiting room has transformed into a platform where revolutionary thoughts unleash dialogues our subconscious holds through the use of creative tools and process based learning.